I have been eating this stuff since HOPPS – a local bistro went out of business – because their version was unbeatable. This is really god – and if you know where to get it there’s a dried ground red pepper called PEQUIN that when sprinkled on the stew makes it supernaturally good. We grow these peppers, but I found when the birds eat too many and I need a new supply MEXGROCER has them for under 2 bucks. These are the best tasting peppers of any I have tried, and I have tried a lot. They make this step, pizza, spaghetti, ravioli, lasagna, and any casserole wonderfully exciting and flavorful. How to extend this meal to feed three or four – and reduce the salt per serving. Put some minced garlic and a can of no salt added diced tomatoes in your slowcooker, with the frozen packet of broth from the bag, along with a glug or two of red or white wine if you happen to have some open. Put the seafood in the bag back in the freezer. Let this cook together until hot, about two hours in the slowcooker. Taste for salt. If too salty, add no salt added chicken broth, or water, or wine. 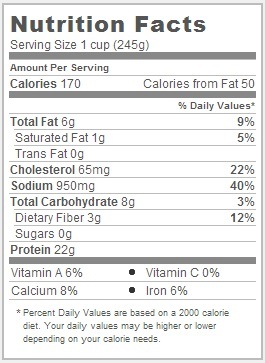 Add the seafood from the bag, plus half of a bag of TJ’s frozen Seafood Mix, or a frozen tilapia fillet. Cook for another two hours in the slow cooker. Break up the tilapia fillet to check for doneness. Serve with salad and bread. I always ask where the seafood came from: is it USA or imported? We don’t eat imported. I was told by the T.J.’s manager that food laws dictate that foreign ingredients have to be identified. True? 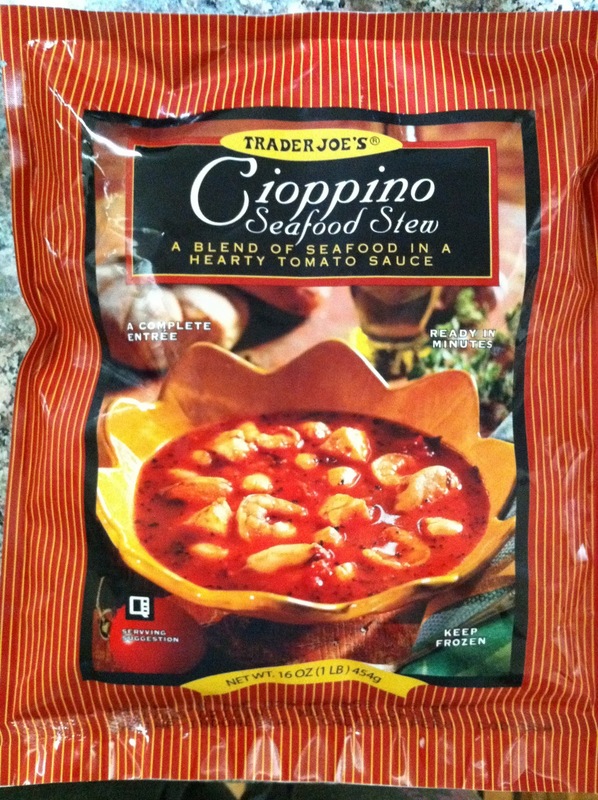 The manager of our local TJ’s tells us that the cioppino is in for repackaging from their marketing department. Let’s all hope it’s true. the manager of our local told us the same repackaging reason for being out of stock. Lets hope this is true. PLEASE INFORM IF THERE IS ANY OTHER WAY TO GET THIS PRODUCT AT THIS TIME. So, what’s up TJ with the seafood cioppino? We all love it! !